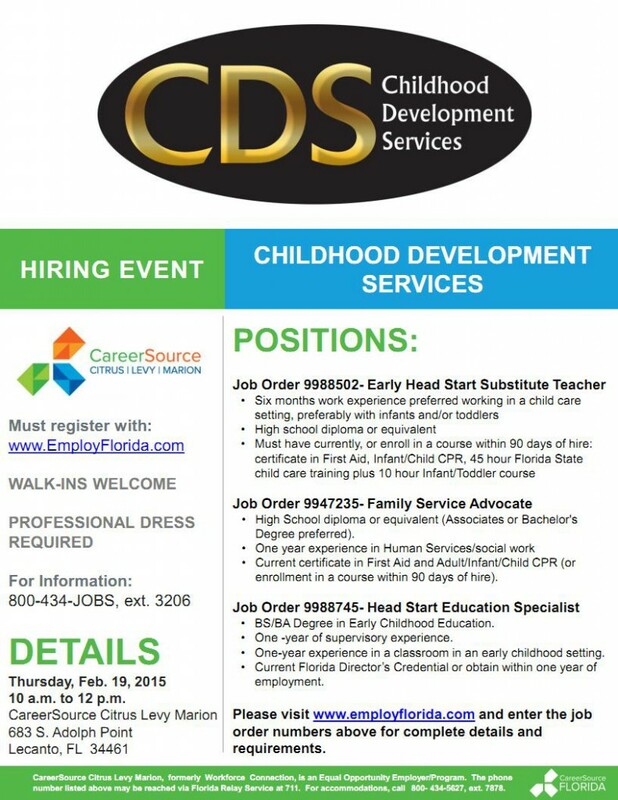 CareerSource for Citrus / Levy / Marion Counties is sponsoring a hiring event for Childhood Development Services on February 19, 2015 from 10 a.m. to 12 p.m. at their Lecanto, FL location. See the poster below for more information. Visit EmployFlorida.com for more info. This entry was posted in Careers on February 10, 2015 by Andrew Comeau.